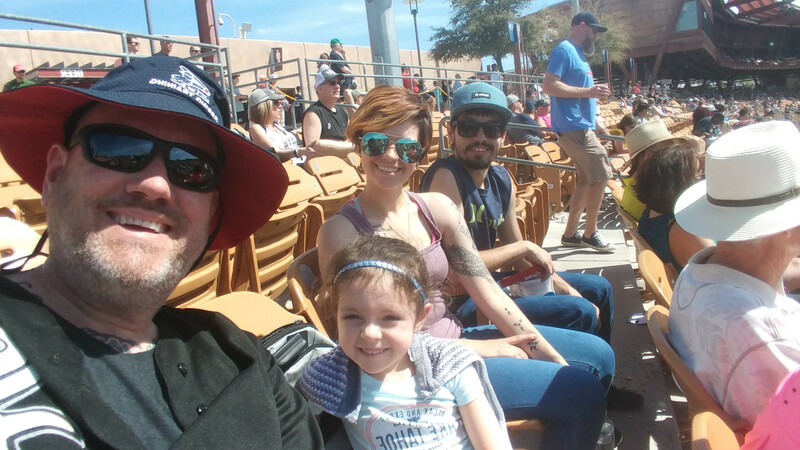 Chicago White Sox vs. Cleveland Indians - MLB - Spring Training Feedback!! I just want to say thank you to the 22 individual donors and vet tix for making this possible. Im a Cleveland fan and never get to see them since I have lived in Arizona since 1985. My wife Patty went with me which was her first MLB game and she thoroughly enjoyed it. Again thank you for the tickets. Thanks so much for the tickets. 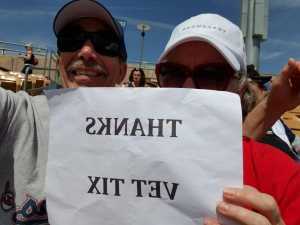 I brought 2 Other Vets with me. Great time. Thank you for the tickets. 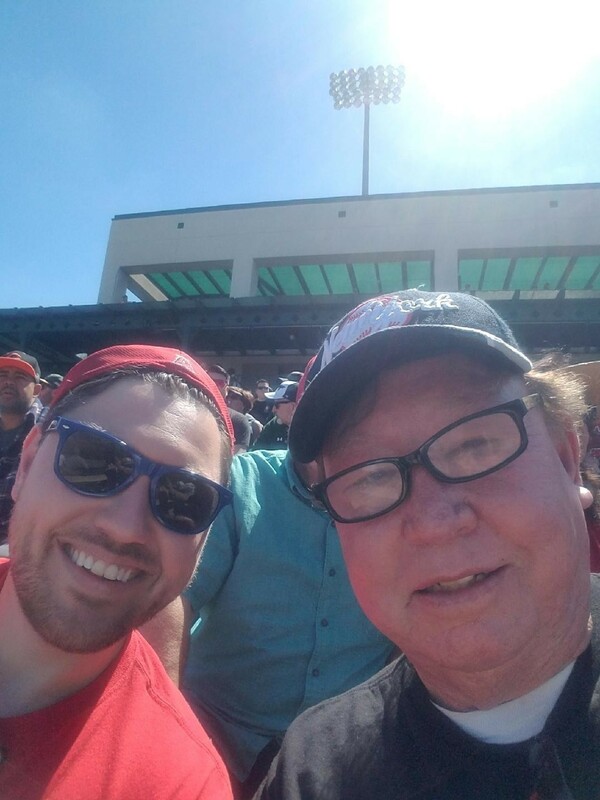 It was a great day for a game and a great game. 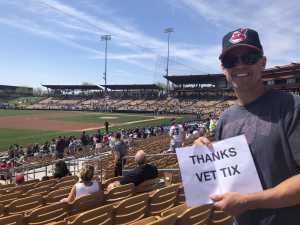 Thanks to the 22 individual donors for your generous donation of tickets to the Indians - White Sox spring training game. 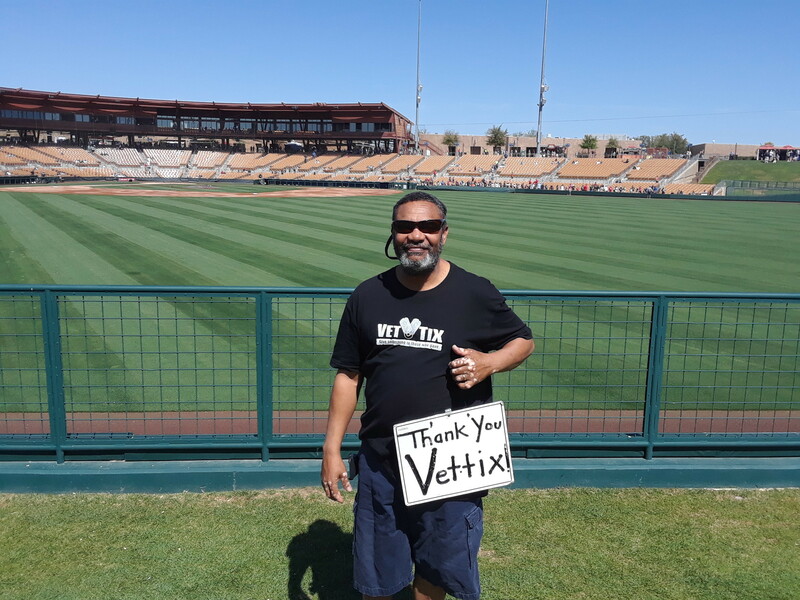 Thank you Vettix.org and individual donor Shandiin Ramsey for tickets to the last spring training game yesterday at Camelback Ranch. We love spring training games and it was a fun game, on an absolutely gorgeous day at a beautiful stadium. Thanks again for such a great day! Thanks so much for the baseball game tickets. My family had a great time at the event. 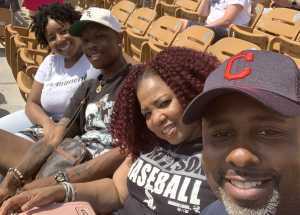 My family is from Chicago so it was great that my we were awarded tickets to the game. 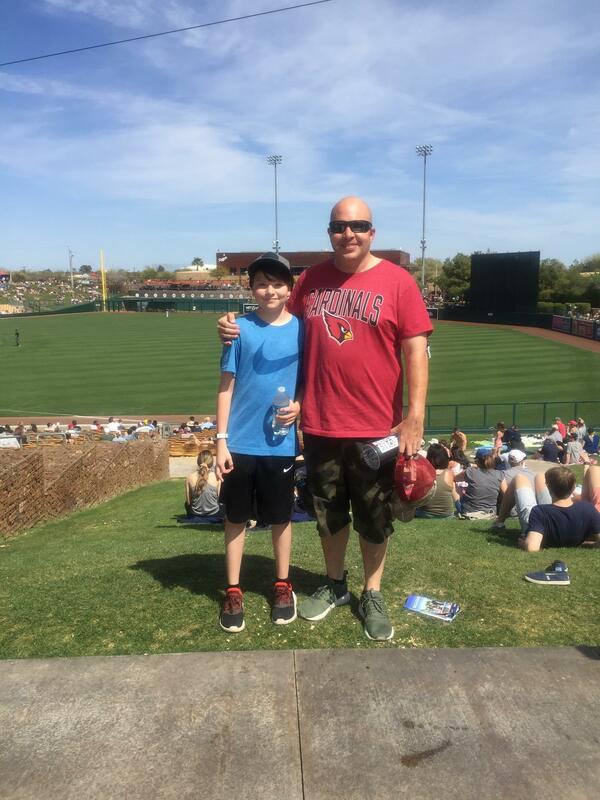 Great Spring Training season. Thank you for supporting us Veterans. 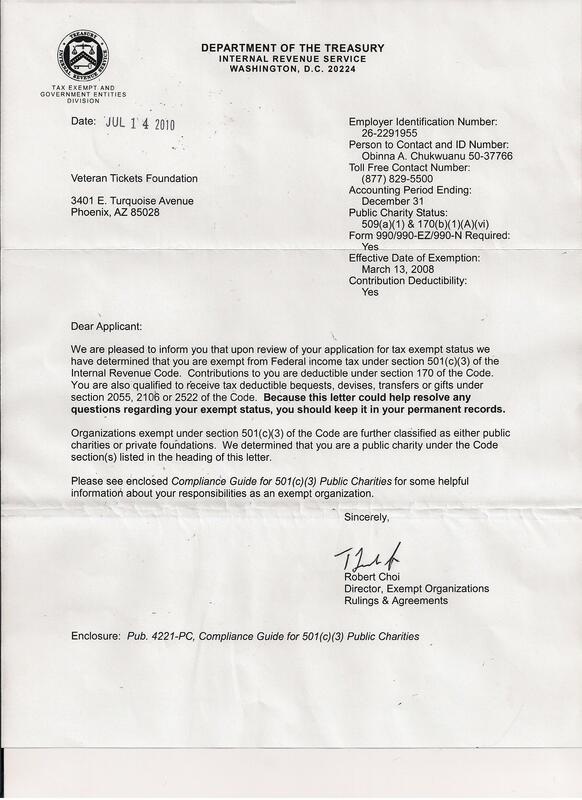 It makes it even more special that these tickets come from individual donors. Shows that WE as a united Nation appreciate the freedom afforded by all our great Soldiers. AATW! 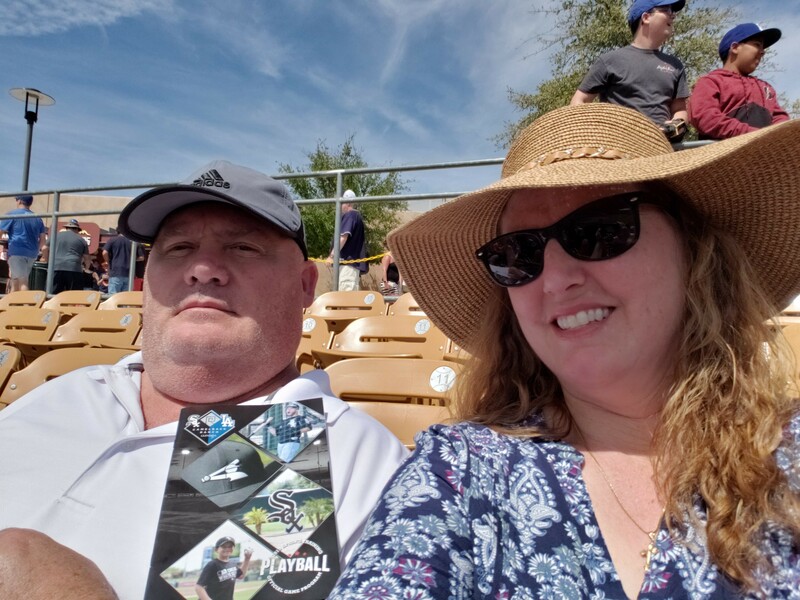 My wife and I had a wonderful time attending the Chicago White Sox Spring Training game! 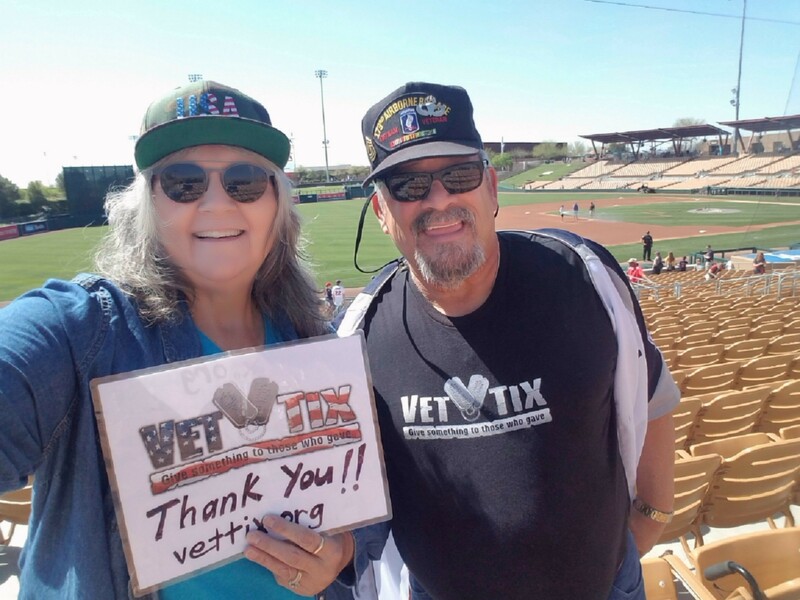 Thank you to the Sox organization and the generous donors who continue to support Phoenix area veterans! 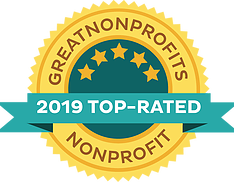 You’re generosity is truly appreciated! 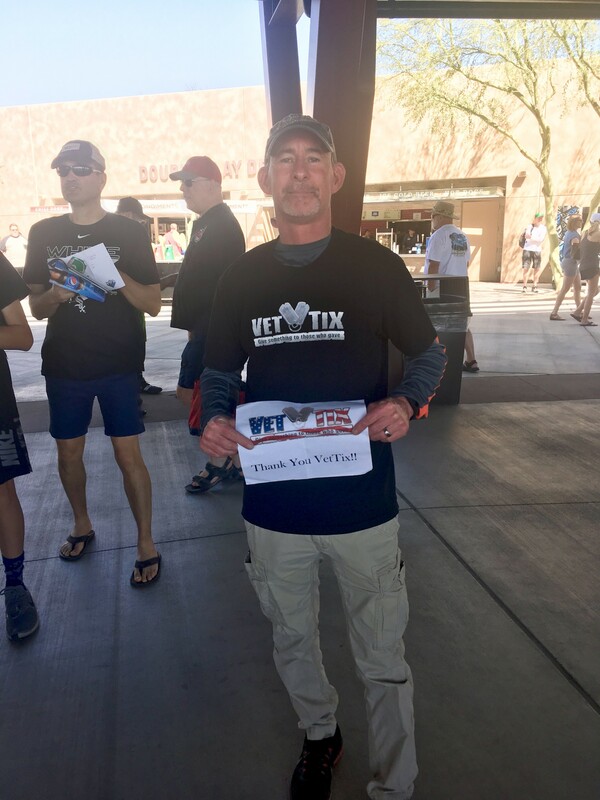 Thanks so much to the individual donors and to vettix for sending us to the game. It was a perfect day for baseball and we had a great time. You guys are awesome!! 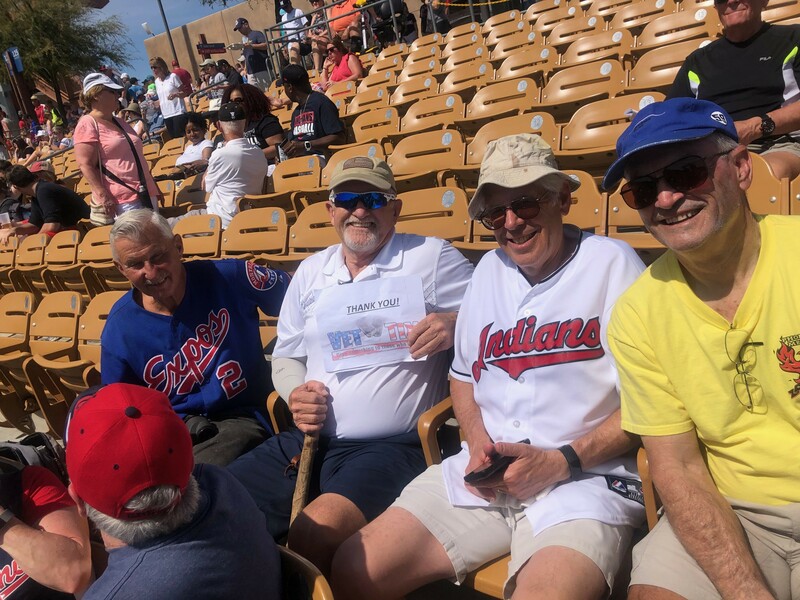 Thank you for the ticket to the Chicago White Sox v. Cleveland Indians spring training game. I enjoyed the weather and the game. Thank you!!! Thank you to all the wonderful donors and Vet Tix for allowing us to see our White Sox play before they head back home. It was my granddaughter's first Sox game ever, so the day was extra special. 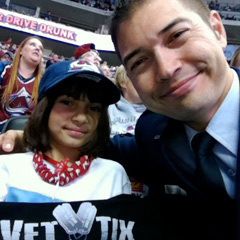 Thanks again for the support to the Vets and their families. Sox won 7-3. Go Sox!! Thank you Shandiin Ramsey! My grandson and I had a wonderful "nanny date" at the Chicago White Sox/Cleveland Indian Spring Training game. Thanks again for your generosity! 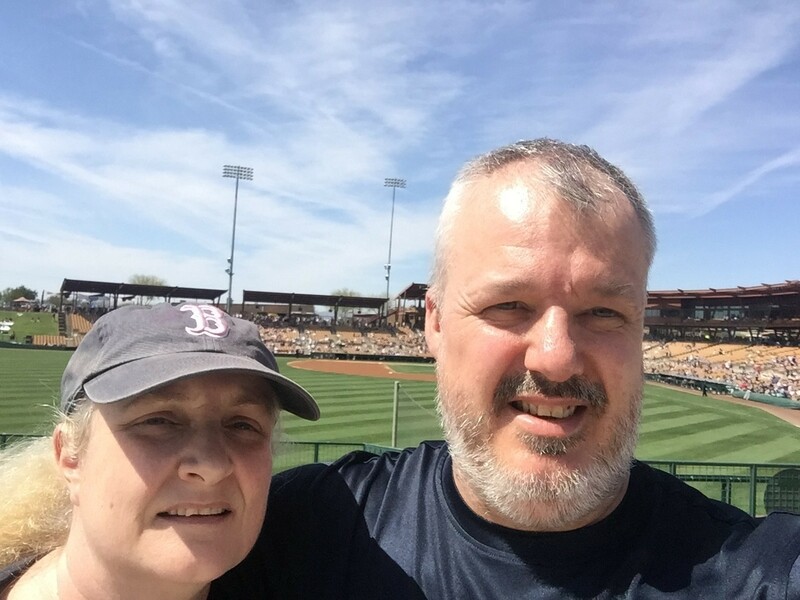 Thank you to all who donated tickets to the baseball game. The seats were great and my family and I had a wonderful time. 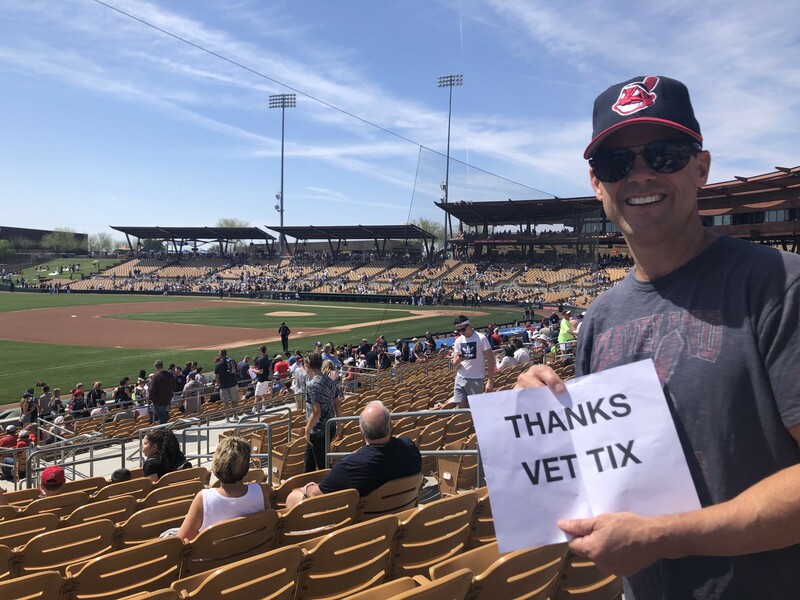 We really appreciate the support for veterans. Go Tribe! 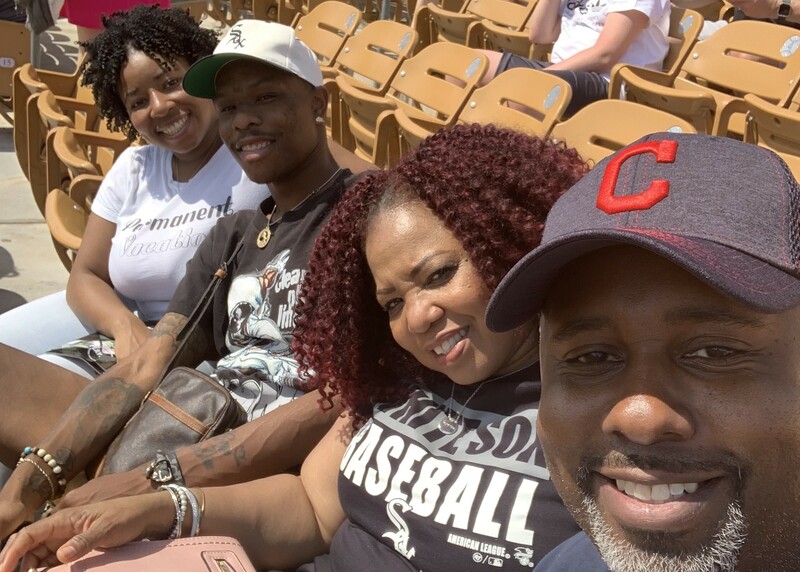 We had the opportunity to attend the Chicago White Sox vs Clevand Indians spring training game due to a generous donation by a donor and I would like to give a sincere thank you. My wife and I attended with a couple of friends and we had a great time! Thank you so much!